Please join us for our annual “First Hike” at the Cedar Forest. We will begin our journey at the Nature Center exploring what Cedars of Lebanon State Park has to offer. After, we will venture through the Butterfly Garden down to Jackson Cave showcasing the park’s karst topography, and then continue towards Dixon Merritt Trail where we will hike the one mile loop. Finally, we will end our journey gathering around a cozy fire and sipping on hot chocolate at the “newly restored” Cedar Forest Lodge built in 1937. Please come prepared for the weather and hiking. This hike is encouraged for all ages and free to the public. There is ADA accessibility at the Nature Center and the Cedar Forest Lodge, but not to the Cave and Dixon Merritt Trail. 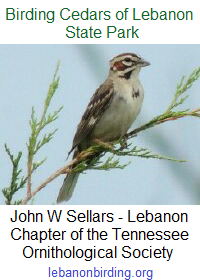 This “First Hike” will also jump start our 80 hike series for 2017 celebrating our 80th anniversary as Cedars of Lebanon and TN State Parks. Please be on the lookout for our 80 hike series schedule and checklist in December! Hope to see you at the Cedar Forest!